So I got an email today saying that "YouCar" (YouCar TV) was now following us on Twitter. As anyone follows Motoracingltd anywhere, we are always interested in who, where, and what they are about. "YouCar" is a European based site with automotive industry news and highlights. 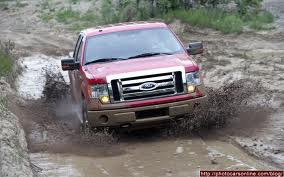 They recently put some videos of the new EcoBoost engine from the new F-150 performing under some EXTREME conditions. I am VERY impressed on what Ford has been putting on the market the last year or so. Check out these videos and see for yourself what the competition is lacking. And the thing is....the EcoBoost is only a 6 cylinder!! !